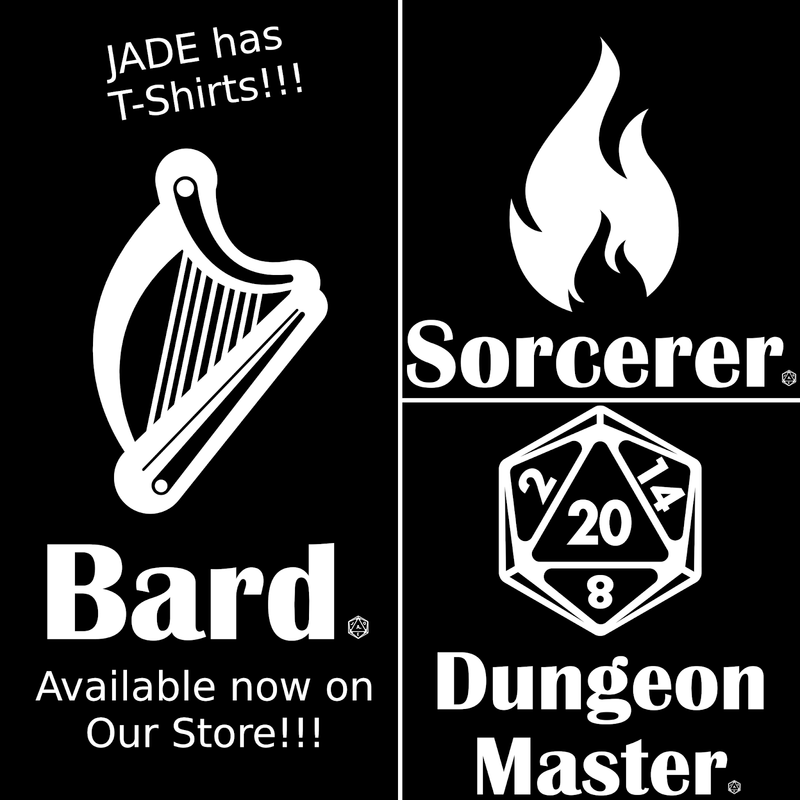 Home / D&D / Gaming / JADE has T-shirts! JADE has been talking about making T-Shirts for some time now. But we never really got it together. 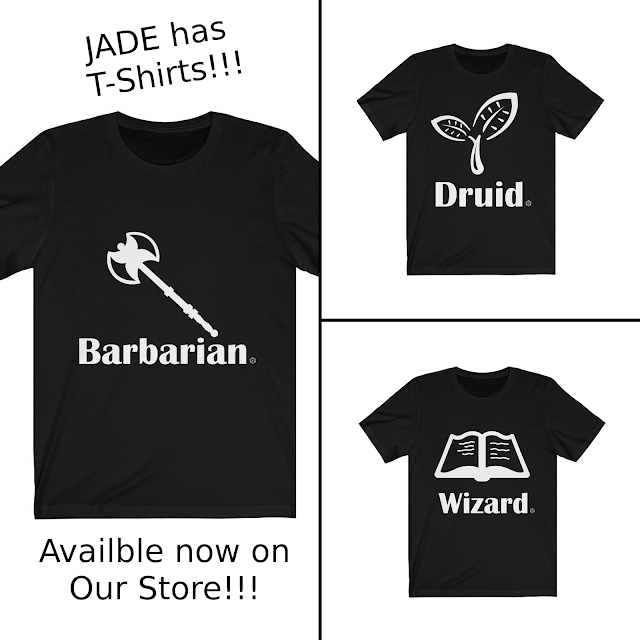 Well now I am pleased to say that JADE hasT-Shirts! What is your favourite class? Now you can show them off to your friends in a new JADE Character Class T-Shirt! But before you go running off to get the classiest T-shirt out there, here is what you need to know about JADE's shirts. The production and shipping of the shirts are handled through Printify. That means that you will need to pay shipping on the shirt separately from any dice you order. However the good news is that Printify is based in the United States! So our American customers will have cheap shipping rates and short turn over times on their orders. From XS-3XL JADE T-shirts come in all sizes and currently only in black with white ink. We might do other colours in the future. Let us know what you would like to see! You can get a shirt of every standard class in the DM's Guide, and a special shirt for the DM in your life. So get your shirt now and start showing off both your class and style!